Visitors to Wales Rally GB are now able to purchase a single ticket that gives access to both runs of the legendary Great Orme Stage on Thursday 10th November 2011. Fans will be treated to a true test of driver skill as competitors navigate the 3.3 miles of tight, twisting, tarmac road which make up The Great Orme Toll Road, last used on the Lombard RAC Rally in 1981. Drivers will face the challenge of 3” high kerbs on the seaward side of the road followed by a small wall adjacent to a vertical drop to the sea, providing a thrilling spectacle for rally fans and families alike. Providing a full day of entertainment, there will be catering, commentary, merchandise and a big screen available to spectators on the Great Orme. Entertainment in advance of the WRC stage will include a thrilling display of driving skill from historic rally group Slowly Sideways. The Start for Wales Rally GB 2011 will take place on Mostyn Street in Llandudno town centre at 2.30pm, with the first cars arriving on the Great Orme from 2.38pm. The second stage will run from 2.55pm, with the last cars running through the stage by 4.30pm, before heading to Clocaenog for the final competitive stage of the first day. The official Opening Ceremony will take place later the same evening at Conwy Quay, in front of Conwy Castle. Free, family-friendly, medieval-themed entertainments will be taking place from 4pm onwards, with fireworks over the castle heralding the arrival of the first cars shortly before 6pm. 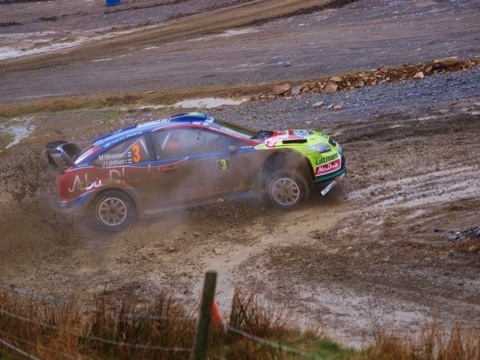 This entry was posted in WRC and tagged Great Orme, Rally GB, Wales, WRC. Bookmark the permalink.